According to the National Conference of State Legislatures, minimum wage in the state of Texas is $7.25 per hour, which is about what most teenagers can expect to make working a part-time job. Even teens who manage to work every night and weekend will quickly find that such a salary is barely enough to cover their discretionary spending on tech gear, new clothing, and outings with friends. Of course, the young adults who get to use their entire paycheck as disposable income are the lucky ones. Necessities like car insurance, gas, and a cell phone plan are far more costly than the occasional date night or gaming keyboard. Regardless if you’re a teen who has to pay for your own auto insurance or you’re a parent who is happy to provide coverage but wants to save money in the process, finding affordable rates for a young and inexperienced driver is challenging. Fortunately, it is not impossible. All you have to do is follow a few simple tips. Many of the major insurance providers offer a good student discount, which can save policyholders as much as 25 percent. Teens in Texas can take advantage of this discount by maintaining at least a B average in school. Maintaining a 3.0 GPA or higher could make you eligible for a substantial insurance discount. 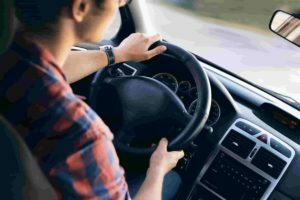 In the state of Texas, individuals who are younger than 24 must complete an approved driver’s education course in order to receive their license. Although subsequent defensive driving courses are entirely optional, enrolling in one could result in a discounted premium. The vehicle on the policy has airbags, automatic seatbelts, antilock brakes, and automatic daytime running lights. When it comes to calculating car insurance premiums, the make, model, and safety rating of the vehicle matter. Inexperienced drivers will find sensible vehicles with all the latest safety features far more affordable to insure than flashier, luxury vehicles that were built for speed. In September of last year, Texas implemented a statewide ban on texting while driving. Although enforcing such a ban will pose challenges, police officers are now on the lookout for motorists who are using their phones while behind the wheel. First-time offenders can expect to receive a fine of up to $99, while subsequent offenders will face a fine of up to $200—and higher car insurance rates. Your driving record has a direct effect on insurance premiums, so teenagers who want to save money need to remember what they learned in driver’s ed and follow all the rules of the road. This includes abiding by all posted speed limits and coming to a full stop at all stop signs and red lights. Purchasing adequate coverage may be a legal requirement in the state of Texas, but the insurance industry itself remains a business, which means all the major players compete with one another in order to attract more customers. As a result, the most effective way to find affordable car insurance for teens in Texas is simply by shopping around for the best rate. Teen drivers are always going to be more expensive to insure than older, more experienced motorists; however, if you follow the above tips, purchasing coverage for a young adult can be entirely affordable. Finding an adequate policy within your budget will also provide peace of mind should an accident ever occur.